Cloudy skies this morning will become partly cloudy this afternoon. High 61F. Winds W at 10 to 20 mph..
Clear to partly cloudy. Low 37F. Winds WNW at 10 to 20 mph. New snowfall is moving in for the western side of the state Friday afternoon, with cloudy skies and temperatures in the low 20's. New snowfall is expected to be less than an inch. 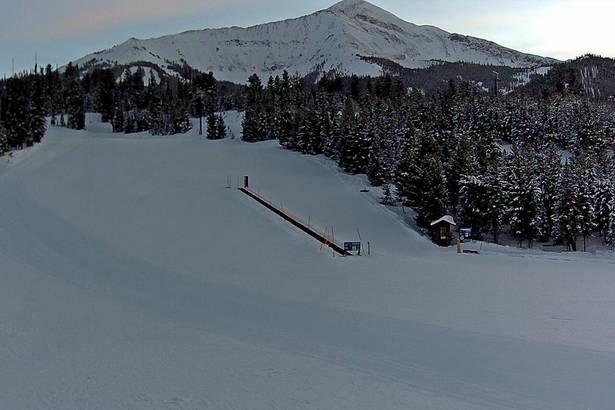 The greatest snowfall totals are expected to be across the Flathead Valley and along Highway 2 from Columbia Falls through Marias Pass, where up to 8 inches of snow could fall. Further north and west, areas along Highway 2 through Libby and Troy can expect 3-6 inches of snowfall through Friday afternoon. Areas near Bozeman and Great Falls are under a wind chill advisory, with wind chills as low as -40°. 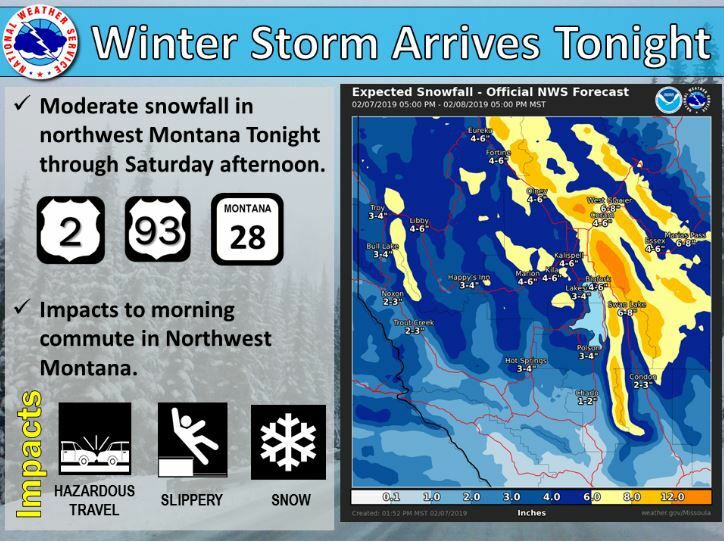 New snowfall of 1-4" is expected for portions of central, north central and west central Montana. Travel could be very difficult. Plan on slippery road conditions. Areas of blowing snow could significantly reduce visibility. Dangerously cold wind chill could cause frostbite on exposed skin in as little as 10 minutes. For the eastern side of the state, the focus will be on frigid temperatures through the weekend, and into early next week. Temperatures will moderate through Friday. Another shot of Arctic air is anticipated to arrive Friday night pushing temperatures back into the single digits for highs through early next week. Additional shots of cold air are in the forecast later next week as well. Conditions will be dangerous for young livestock as well as those unprepared for prolonged bitter cold temperatures. Periods of light snow may cause minor travel difficulties.